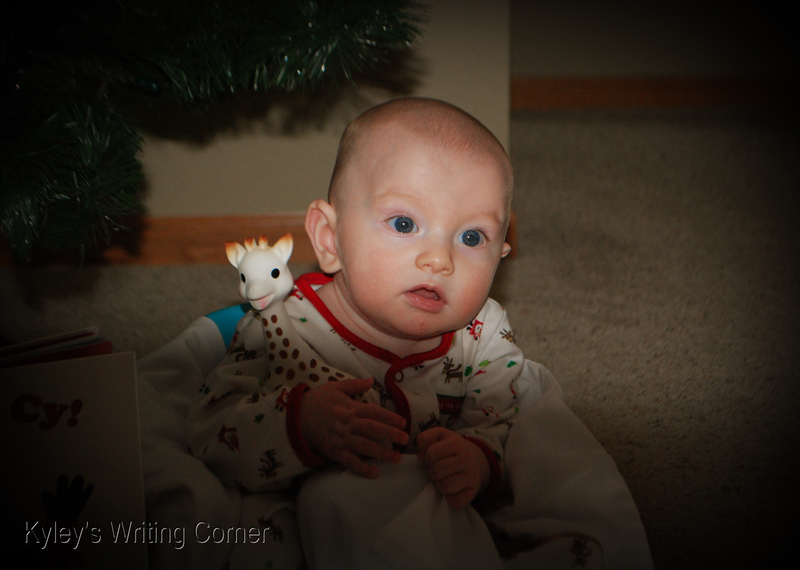 Baby’s first Christmas was a success. He dodged a lot of naps and got in lots of snuggles. He only threw up on one person and had one outfit-changing blowout. He got lots of clothes and new baby toys. And most of all, mommy and daddy have loved the two weeks of vacation! Our little man is calling the shots. He sleeps until 8:30 or 9 a.m. and then we do a lot of playing. He does a lot of screeching, at levels that most humans shouldn’t have to endure, and sometimes rolls over. But mostly he smiles and tries to put everything in his mouth. We’re all in for a rude awakening next week when we get back to our normal schedule, but until then we’ll snuggle a little longer and smile a little more. 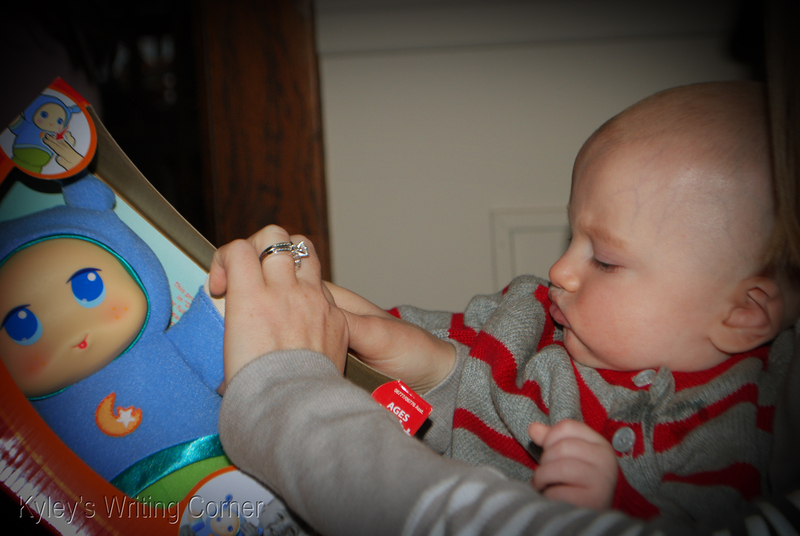 This entry was posted in Baby, Life, Maximus, Newborn, Parenthood by Kyley Leger. Bookmark the permalink. Oh so sweet! 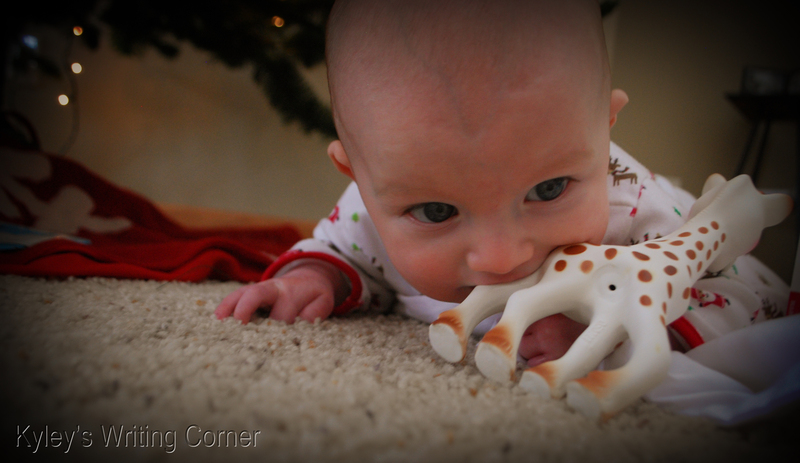 *sigh* The only toy I regret not getting mine when they were younger is the Sophie the Giraffe. Baby#3 ( whenever that happens) will have one, dangit!